This text comments on a series of three novels for young adults introducing the main character Adam Halvorsen, age 16 (17 when the series ends), and gives a brief summary of the second title, called The Moon is a Big Pudding. 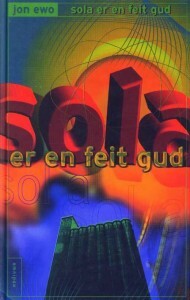 Sola er en feit gud (The Sun is a PHAT God) published July 1999. (Later referred to as: «Sun»). Månen er en diger pudding (The Moon is a Big Pudding) March 2000. («Moon»). Jorda er tøff & naken. (The Earth is Tough & Naked). Published autumn 2001. («Earth»). The series can be viewed as a triad, in which the main themes are opposing each other, like the corners of the Hegelian triangle: thesis, anti-thesis and synthesis. 1. Thesis. Sun-theme: Adam decides to become an adult person. Hopefully as soon as possible. To put the childishness and immaturity behind him. In this project he is helped by the Sun. 2. Anti-thesis. Moon-theme: Perhaps growing up went too fast? Does it make more sense to keep in touch with your inner child? The Moon is the dangerous enemy that Adam has to fight. 3. Synthesis. Earth-theme: Adam realizes that in real life, the important thing is not to become a grown-up or staying a child. It all has to do with being a person, an individual, a human being. In this he has neither an ally nor an enemy. He discovers an Earth that is both frightening, attractive, scary, humorous and important to be a part of. * An absence of one fundamental way of interpreting reality. * A text that is shaped by the story, where every typographical possibility should be used. * Meta-aspects: The novel makes fun of itself. (In «Sun» Adam meets actual persons, and the blurb on the back is «written by him, in his own words». In «Moon» Adam loses both the introduction and the end of the story to others. And arranges a meeting with the author Jon Ewo, in order to get some advice as to how to end the book. * Intertextuality: References and quotations from other works of art: literature, music, television-series and -films, movies, comics, …. * Influences by other media. * Irony and gross exaggerations. Each of these novels refers to a literary sub-text. At the same time, the novels also «story wise», narratively, to some extent parallells these classical works. 1. 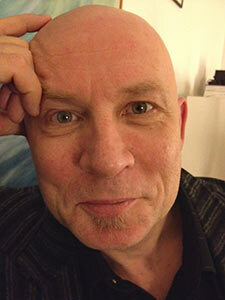 «Sun»: Adam’s father, an actor, is to play the leading role in a performance of Henrik Ibsen’s «Peer Gynt». Following the progress of the theatrical production, the novel uses quotations, elements of the atmosphere and outlook on life from the play. 2. «Moon»: Adam’s father is writing a dramatization of Cervante’s «Don Quijote» for his theater-group. Throughout the novel, Adam feels like a knight. At times he is a losing and stupid knight, fighting an enemy so distant, and at the same time far mightier than he, namely: The Moon. But Adam proceeds with the passion and intensity that is also characteristic for Cervante’s famous anti-hero. 3. «Earth»: In this novel I use Dante’s «Divina Commedia» as the literary sub-text and background, with references and – in one sequence of the book – a parallel story. The novels all contain an afterword in which I give some information concerning what has influenced my writing. This, I call my literary sampling, using a phrase – a metaphor – that juveniles can relate to. My main influences are of course the three above-mentioned classical works. But I will also mention the Norwegian authors, Sigbjørn Obstfelder, Dag Solstad, Jon Fosse, Odd Børretzen and Jan Erik Vold. One critic commented upon the relation to Richard Brautigan, which I feel is quite to the point, although I read him nearly 15 years ago. I also have a great fondness for some of the beat-poets. But in this series it is mostly the passion, the mood and the speed that reflects the beatific writers. Also, the hard-boiled crime-fiction of Hammett and Chandler, could be mentioned here. Not to forget the lyrics from rock-classics, both Norwegian punk-rock, and groups like Pink Floyd. And the extensive use of films and television narratives. What I have said so far, may in many ways sound constructed and elaborate. So meticulously thought-out. Almost artificial. Well, to tell the truth, this first, theoretical part may not give the actual story much credit. But I have consideres it necessary to point out these elements to bring to the surface my reason for writing this series: I wanted to create true literature for juveniles. I did not want to just write a simple, easily-read, entertaining story. (Although you can also read the novels in this superficial manner!) I wanted to create a Bildungsroman where Adam goes through a complex evolution. It is told with myriads of literary techniques. And I even wished to give the grown-ups that Adam relates to their fair share of the story. They should not just be irrelevant and necessary sidekicks. The novels have several layers of text, and I believe, there are several ways of interpreting them. I also wanted a text with several moods. So within these pages you will find almost violently opposite moods like pure anger, deep love, hard depression, great fear and real, awful jokes to make the contrasts big enough. But on the other hand, these novels are written in a fast, snappy style that can of course be read for fun. It’s up to you how much you wish to get out of it.